Mondelez International, one of the largest companies in the food industry, wanted to improve their production process for chocolate bars at their Belgian site. They were looking for an in-line industrial strainer which would reduce the wastage of caramel from their chocolate bars during production. 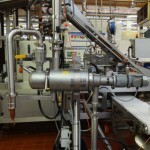 Mondelez required a machine which could help reclaim caramel for reuse after filtration as they wanted to filter a high viscosity paste at a high temperature to keep the caramel in liquid form for reuse. 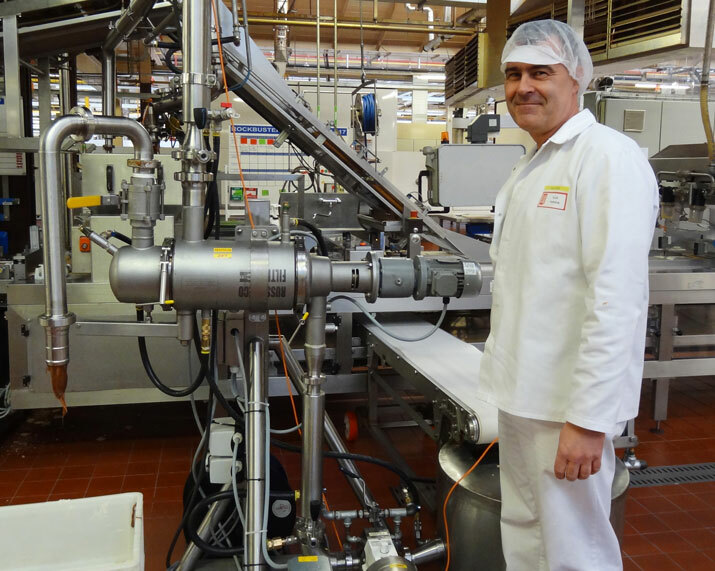 Mondelez currently use seven vibrating sifters Russell Compact Sieve®’s for check screening of flour and to address their new filtration problem they trusted Russell Finex could help them with their requirements. The self-cleaning strainer Russell Eco Filter® was tested at a Mondelez site before being implementing and proved to show very positive results by reducing 20% of product loss. Another test was also taken which was based on quality to check the difference between a bar with or without the reclaimed caramel and as a result Mondelez took the decision to install a Self-Cleaning Russell Eco Filter®. Contact us to find out how you can improve the filtration process of your application by implementing the industrial strainer for caramel Self-Cleaning Russell Eco Filter®. "The Self-Cleaning Russell Eco Filter® is not only able to filter high viscosity pastes whilst keeping the product in a liquid state, but is also easy to maintain. With the added benefit of not needing to replace the filter media, this has been the filter we have been searching for. We would certainly recommend the Russell Eco Filter to producers of high viscosity liquids."